“The Only William” Schmidt has been referred to as The Godfather of Modern Mixology. He was discovered by a New York Sun reporter while tending bar at a hole-in-the-wall next to the Brooklyn Bridge. He went on to be the most celebrated bartender in the country for 16 years. His drinks were original, creative, well thought-out, elaborate and somewhat genius. 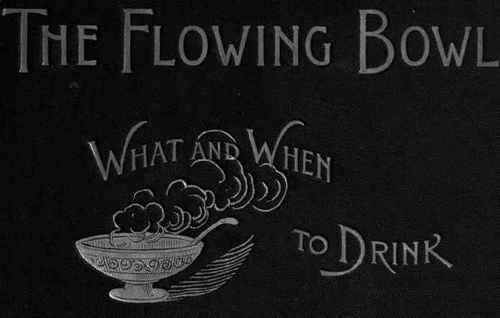 Written in 1891, his book The Flowing Bowl is not just a collection of his incredibly complex cocktail recipes, but it is also a guide to bartending in general and the philosophy of drinking. This was a man who believed in temperance. He believed in artistic approaches to mixing drinks. 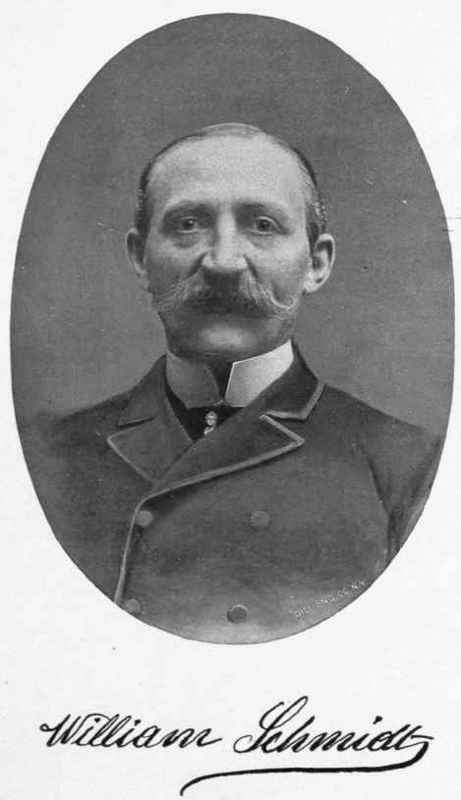 He believed bowls of punch were not appropriate for bars, but for families to enjoy at home and would encourage men to spend their leisure time at home in the family circle. And his concoctions were way beyond their time. In a day when you had the simple, classic cocktails using only three or four ingredients, Schmidt was using 10 or more. And not everyday ingredients either. Today we see mixologists around the country experimenting with old forgotten liqueurs and obscure ingredients. Combine all ingredients in a shaker with no ice and shake. Add ice and shake again. Strain into a chilled goblet or cocktail glass and add a splash of soda water. We knew from the ingredients alone that this had great possibility. The presentation of nice layers with the egg and soda make it an attractive drink. 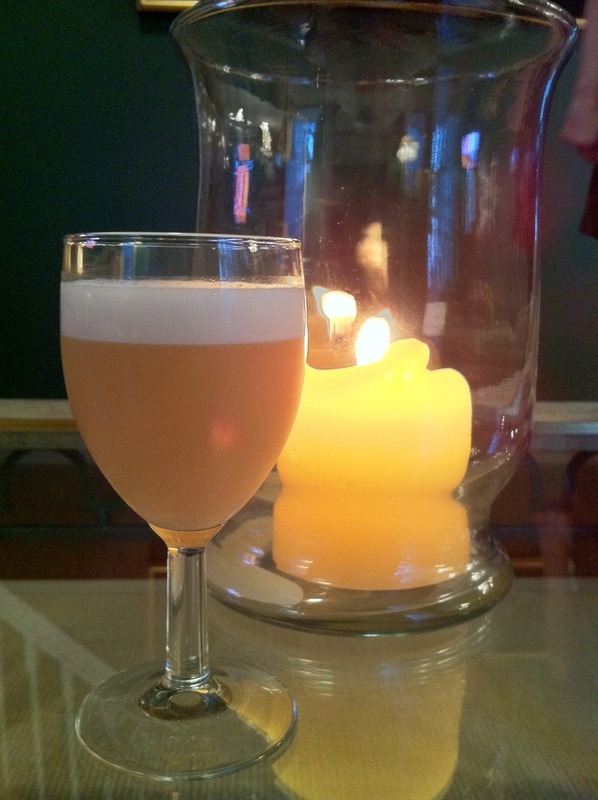 From a flavor profile, it was nice and light, somewhat reminiscent of a Pisco Sour. The applejack adds some sweetness, but not overly so. The balance of the lime juice and added soda provide a bit of mineral taste. It is a very light, easy to drink cocktail. And we love the texture an egg white provides in a drink.